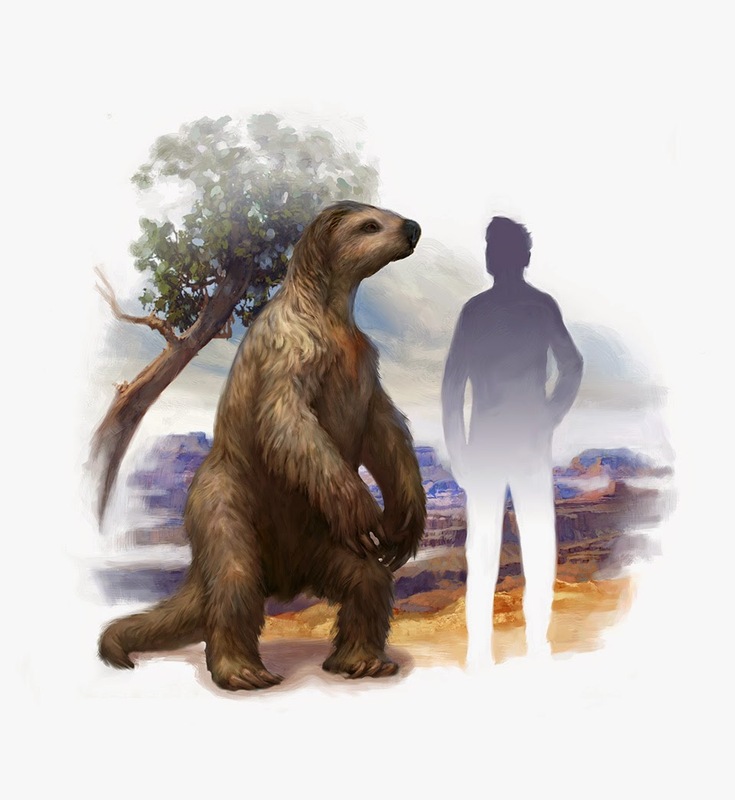 Jon Foster illustrated these two awesome pieces for the latest issue of Arizona Highways for an article about discovering clues of these goliath beasts around Lake Mead. 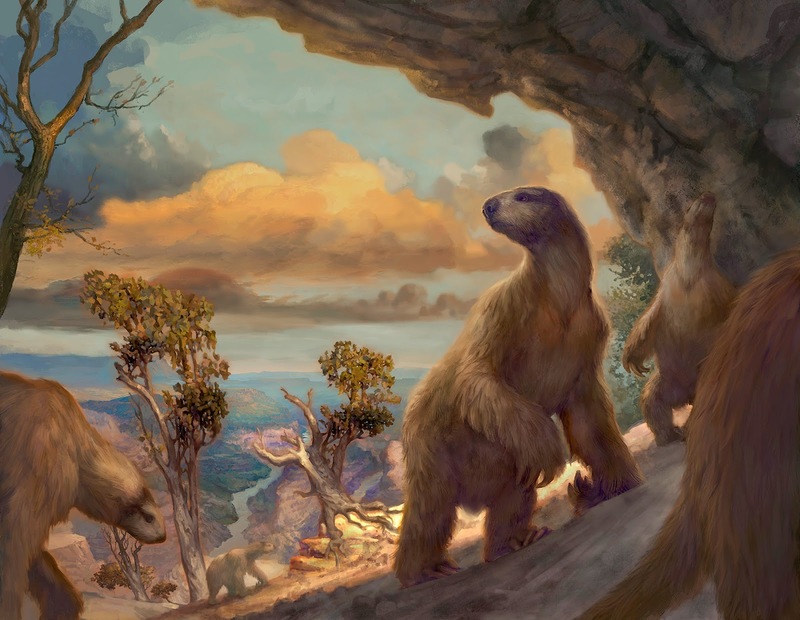 Though these Ground Sloths might not make a regular presence in Jon's fantasy pieces the creatures certainly evoke our imaginations in an equally powerful way. Check out more from Jon Foster here!